93% of Mateja Petje clients are discharged after 8-10 sessions! Why spend years in traditional therapy? Lets discover the answers you need together because 93% of my clients are discharged after 8-10 sessions! To learn why and how this is possible and especially relevant read my Client Testimonials right on this web page! Here is a link Testimonials These are very powerful testaments to my clients’ experience and in conclusion this speaks volumes about me! I can definitely help you so surely check out my resources! Natural Stress Management & Holistic Psychotherapy is most of all about transforming people’s lives. At the end of the day it is about helping clients heal in short from depression, anxiety, abuse & trauma. Clients can manage their own daily stress with ease and as a result be inspired to thrive and blossom. During this discussion you can learn how to get rid of stress with Emotional Freedom Technique also known as EFT. This technique appears to balance disturbances in the meridian system. Often this reduces conventional therapy procedures from months or years consequently down to minutes or hours. If you’re STRESSED OUT watch Mateja’s video utilizing progressive muscle relaxation as a result learn how to relax even when you’re truly feeling anxious or stressed. After partnering with PsychAsk most noteworthy to mention is the fact that Mateja assists international clients with therapy. Listen to the advise Mateja gives to a client frequently struggling with depression. Join Mateja and listen as she is speaks with a client whose son is suffering from depression furthermore Mateja offers tips and advise and personal insight as well. 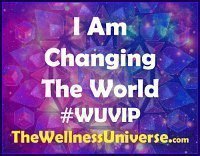 Great listen indeed in this particular segment with Mateja sitting specifically with Joan Winberg, Divorce mentor. Also participating is Rosalind Seccada, the Voice of Child-Centered Divorce. Mateja discusses tips in detail for managing stress during divorce. Stop and Listen to my interview with Stephan Wiedner Coach. He is at Noomii Coaching Directory because Noomii is the web’s largest directory of life coaches and business coaches. Excellent read about Mateja Petje who was recently featured at VoyageMia since it features local entrepreneurs. Check it out! Listen to my podcast on Today’s Leading Women with Marie Grace Berg. This is where I discuss the secrets to my success and most of all great tips for life-work balance. Mateja shares tips on how to manage stress at work and furthermore how to define and recognize chronic stress symptoms. 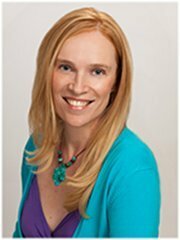 Hear Mateja’s interview with Dr. Erica Goodstone while on blog talk radio when she speaks in particular about her passion work. Listen to Mateja’s interview with Chere Cofield, Stress Manager and radio host at MWHY Radio. Mateja shares her favorite tips in detail especially relevant for managing stress. Are you tired of negative news? Have you seen the latest magazine in particular Kandee Gee’s Nothing But Good News namely because my article was published for the second time! See it on pages 68-69. I love sharing my story of how I overcame challenges and most of all how I turned those challenges into blessings. Stressing out about the holidays? Get tips on how to manage holiday stress. Today, I’m excited to join best-selling author, Transformational Coach and Host, Patricia Young on the “Awakening to Life” Podcast. 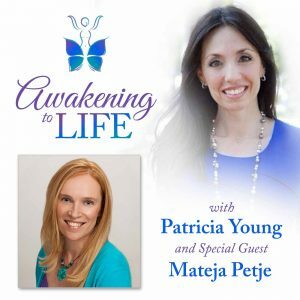 Patricia’s Podcast is dedicated to bringing you inspiring conversations with today’s leading visionary women to empower listeners to embrace who they were created to be, so they can live Life ON Purpose, share their gifts with the world, make a difference, and bring in a new consciousness to the world. Come join us!